A palette of pale woods and understated textiles allows interiors to complement—yet not distract from—the seaside scenery. 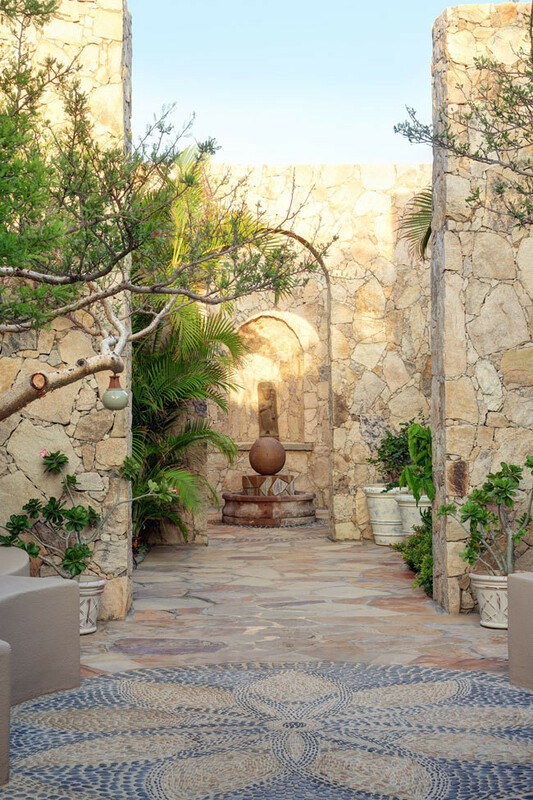 A courtyard garden at the property's spa. 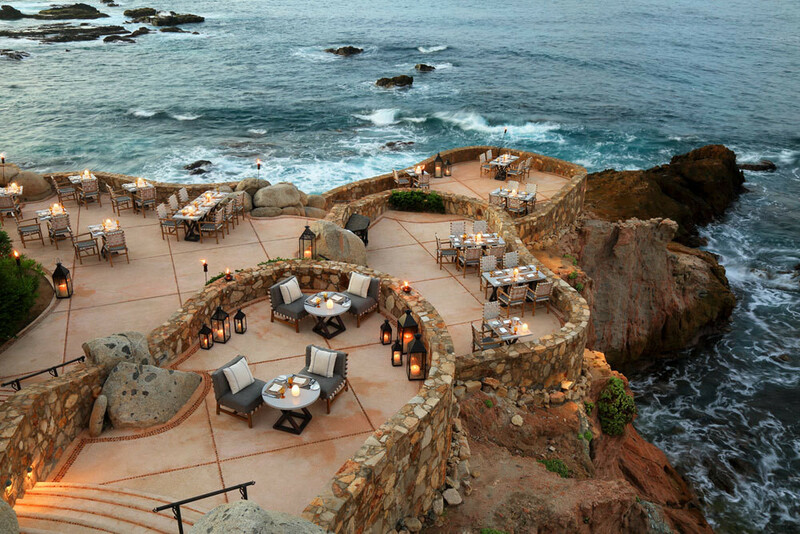 A multitiered dining area at Cocina del Mar, one of the property's restaurants, is set into the cliffs (and lit at night for the full effect). 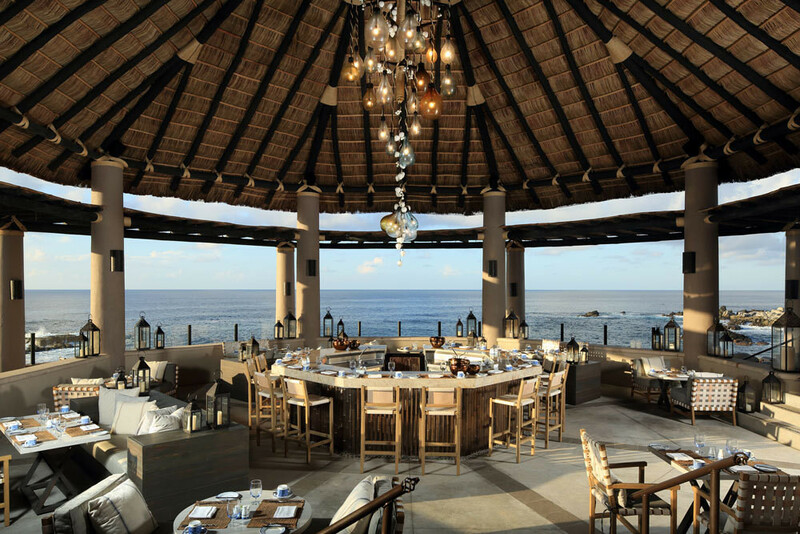 Esperanza's new ceviche bar, with a custom light fixture that evokes coastal flotsam. 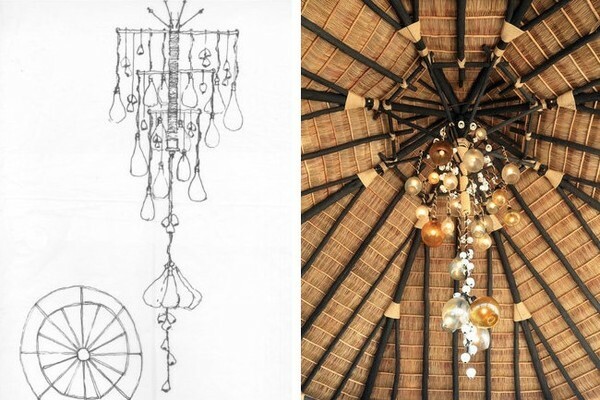 An initial sketch by designer Mary Alice Palmer, and (at right) the finished product. 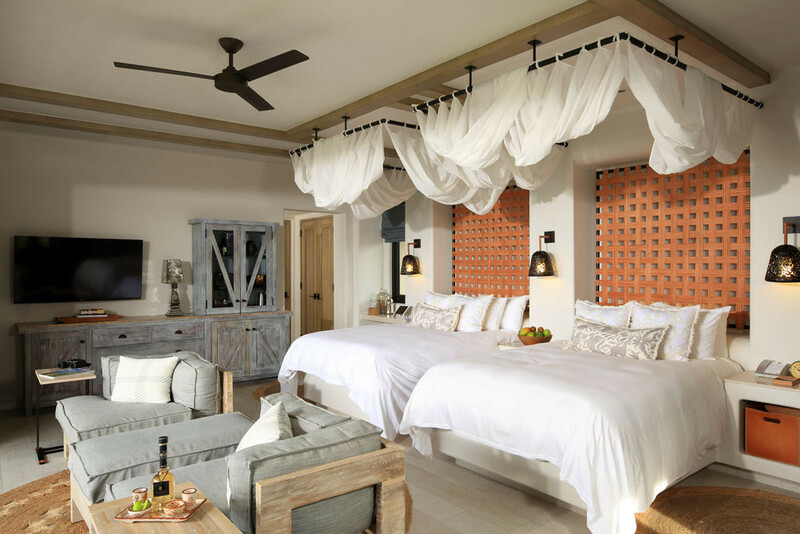 Woven leather headboards serve as focal points in guestrooms. 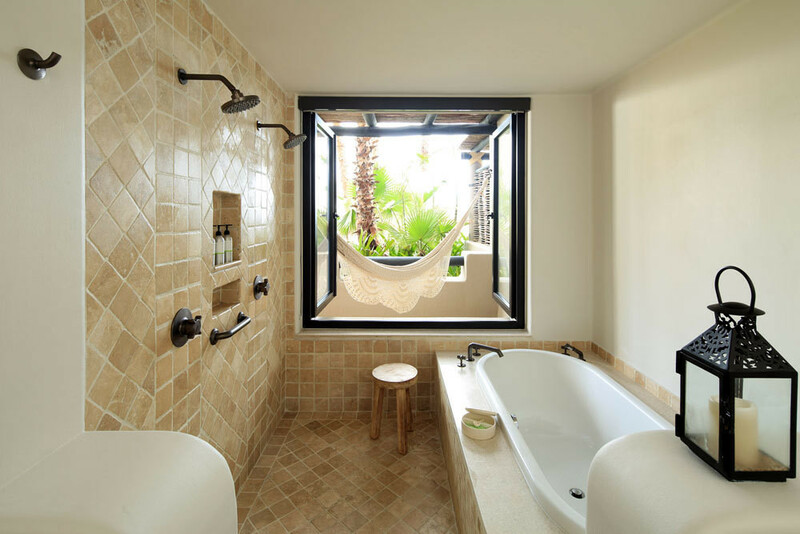 His-and-hers showers, and a hammock with a view. 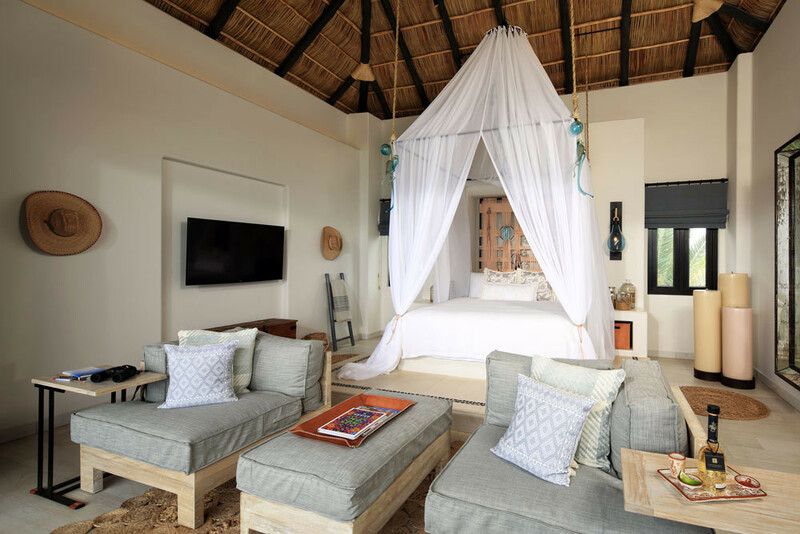 Extra-high ceilings allow for generous canopies. 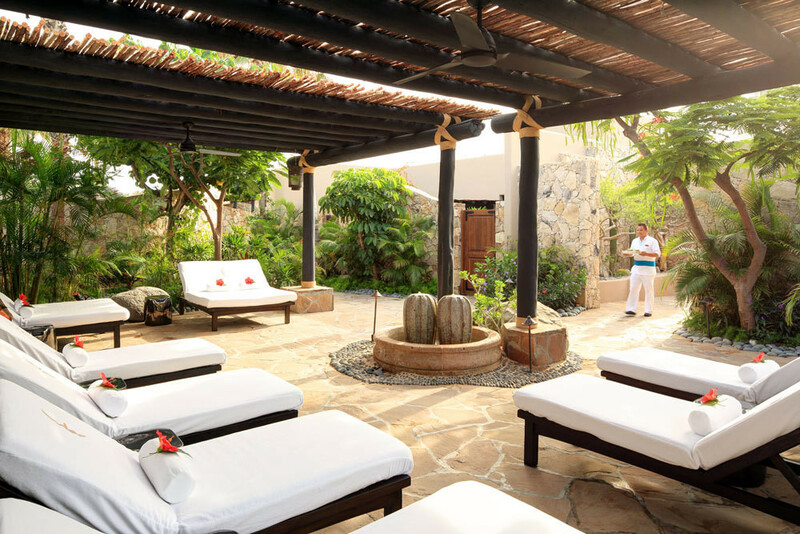 The relaxation garden at the resort spa. 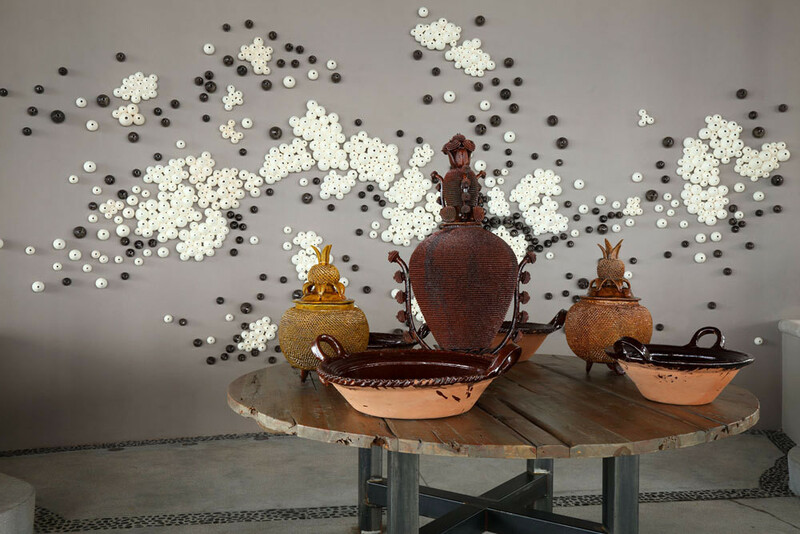 A wall installation in the bar by ceramic artisan Adrian Guerrero brings to mind barnacles on the cliffs. 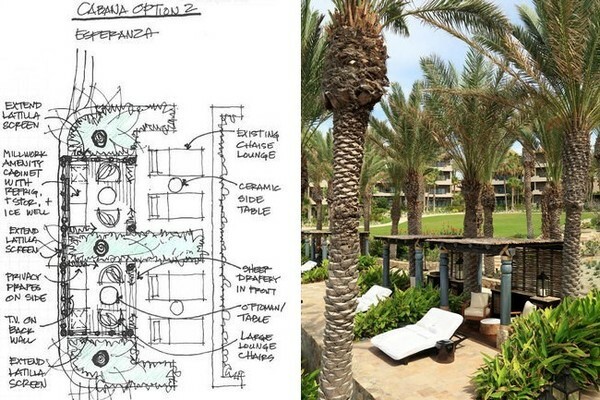 The poolside cabana area as sketched by Mary Alice Palmer, and (at right) one of the latilla-screen cabanas. 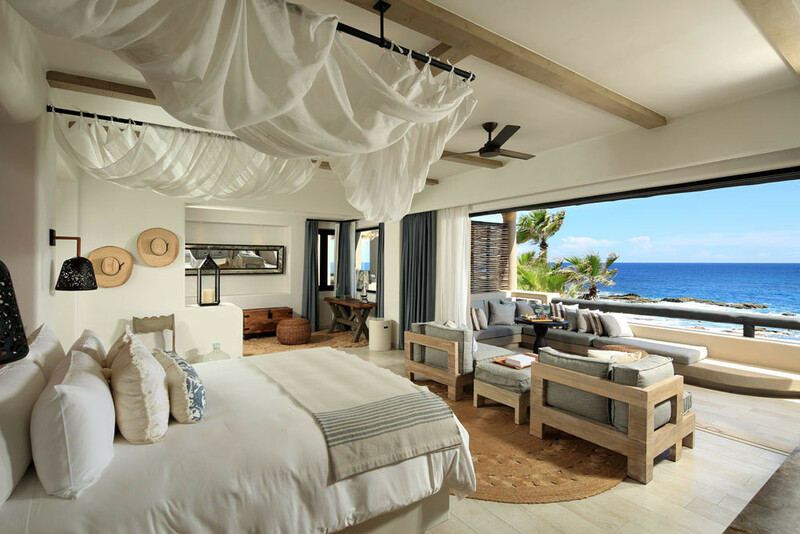 Three-night package at Esperanza, including daily breakfast at Cocina del Mar; complimentary ceviche tasting; and two $50 spa credits. 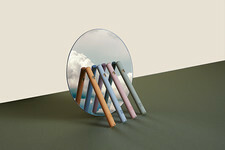 Upgrade at check-in if available. Call 855-803-3259 for information and booking. 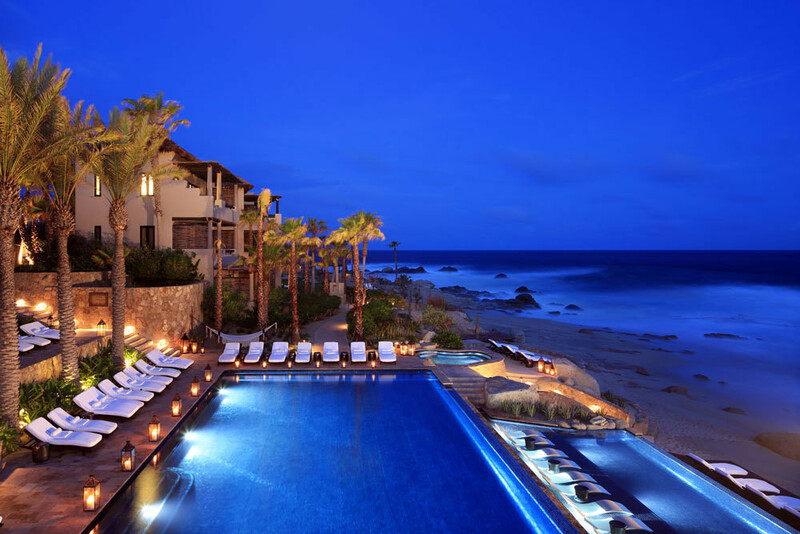 In-water lounge chairs and an infinity-edge experience turn the Esperanza pool into a memorable design moment.